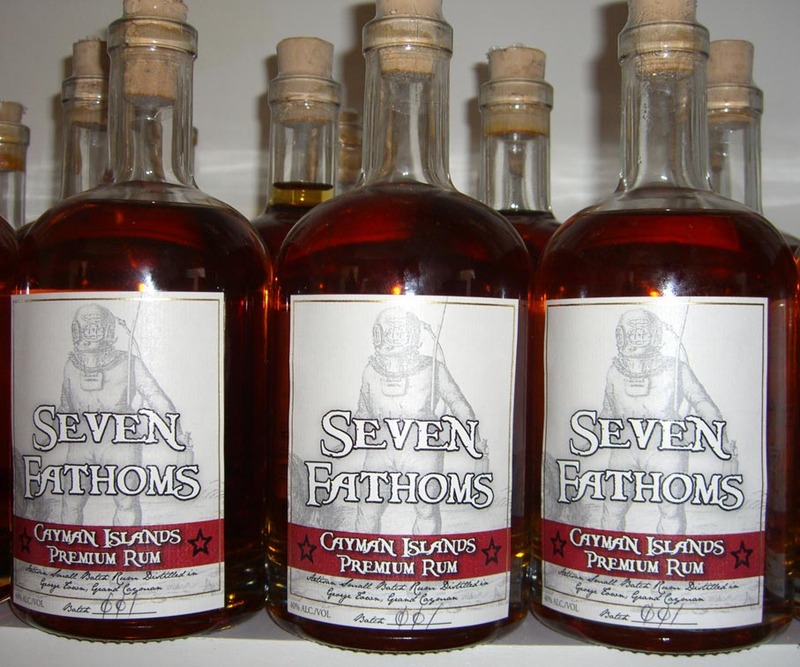 Seven Fathoms is a new small batch premium rum from George Town Harbor, Grand Cayman. It is made entirely from locally grown and pressed sugar cane and it is also the first distilled spirit made locally in the Cayman Islands and will not initially be available anywhere else. 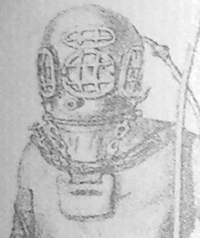 What makes this rum so special is the unique aging process that takes place underwater, seven fathoms deep to be exact (12.8 meters, 42 feet). This aging technique has been used before to age wines but this is the first time ever rum is aged in this fashion. The specially designed oak barrels are put to rest in the ocean where they quietly rest in the caring touch of the ocean until the ideal balance of oak characteristics has been achieved. The underwater aging process is accelerated by the tides and waves compared to normal slower aging on the land, thus making it possible for the rum to take on characteristics of much older rums. "We use specially designed barrels, though they are still made with traditional kentucky bourbon barrels. It took us quite a while to come up with the ideal design" said Walker Romanica, one of the co-founders of Seven Fathoms Rum. This aging method was inspired by the old times when rum, that spent long times aboard a ship sailing accross the ocean, was noticed to be better tasting than rum aged on land for the same amount of time. Look for Seven Fathoms Rum in the Cayman Islands at the end of this month. Gimmick or not? Join the discussion in the forums.